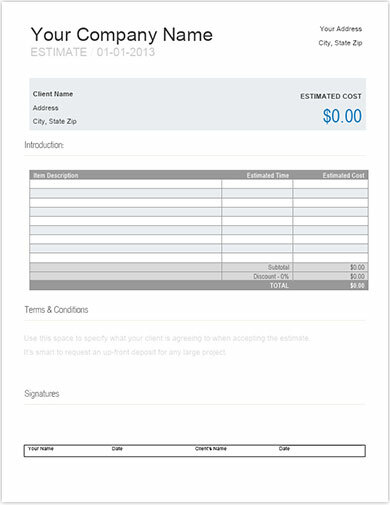 Download this estimation template to easily display cost estimations requested by customers. Ideal for small, medium and large business. Each section of the estimate template is complete customizable.